It may be February, but here in Florida we’re already moving! 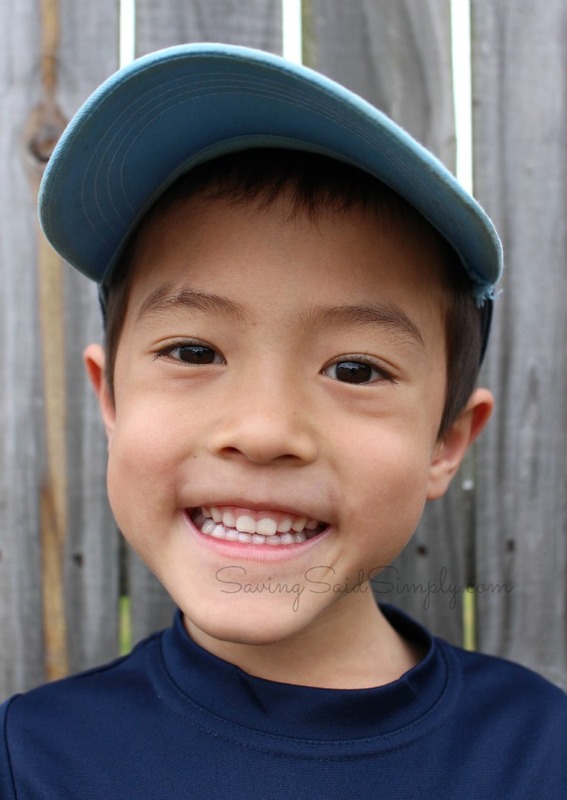 Little League Baseball season is starting for us this week and it’s a HUGE deal in the eyes of my 6 year old. We have graduated from Tee Ball to Coach Pitch. No longer the baby in baseball, my son keeps reminding me how much he’s growing up. And I’ve never seen him so excited! 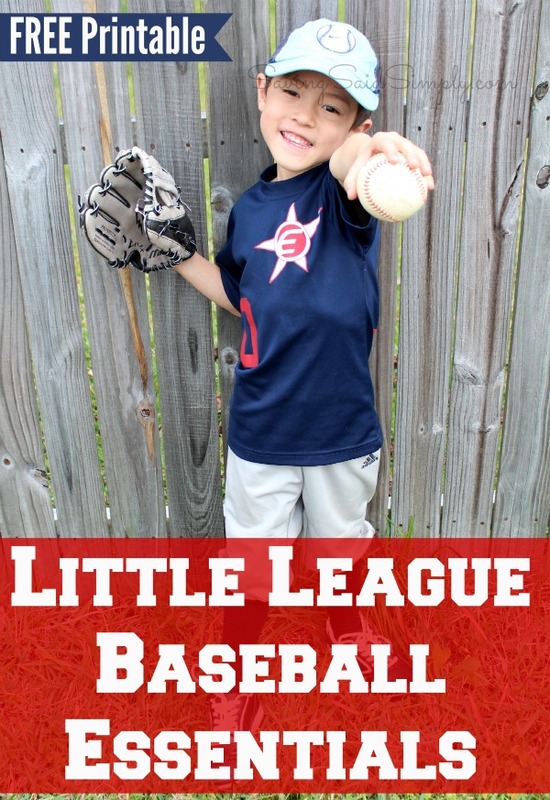 All of the weekly practices, game days and school work, it’s tough for this mom to be on top of all of his Little League Baseball Essentials, so this year, I have a plan! 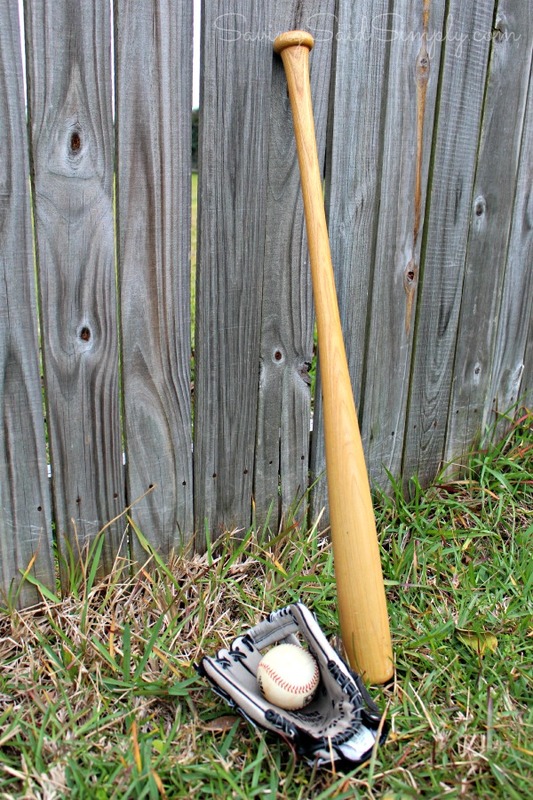 What Baseball Essentials do we need to stay on top of our game? 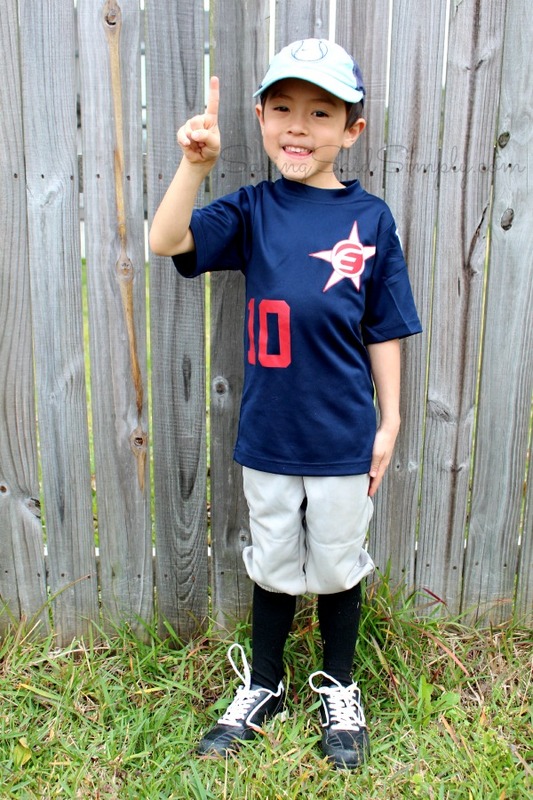 Does your child have a FUN baseball uniform? We always get our official “team hats” on opening day, but the jerseys, pants and socks need to be washed and ready for every game! I always make sure to have a back up pair of pants and socks. And definitely wash those shirts right after the game so you’re not scrambling out the door with a YUCK shirt! Hydration is so so so important. Whether the practice/games are hot or cold, those kids are constantly losing water with every hit, catch and throw. Get a big reusable bottle and make sure that it’s easy for your child to open and close. I like to give my son a sports drink or fruit infused water. He loves the taste and it encourages him to want to drink more. (especially when he gets so excited!) 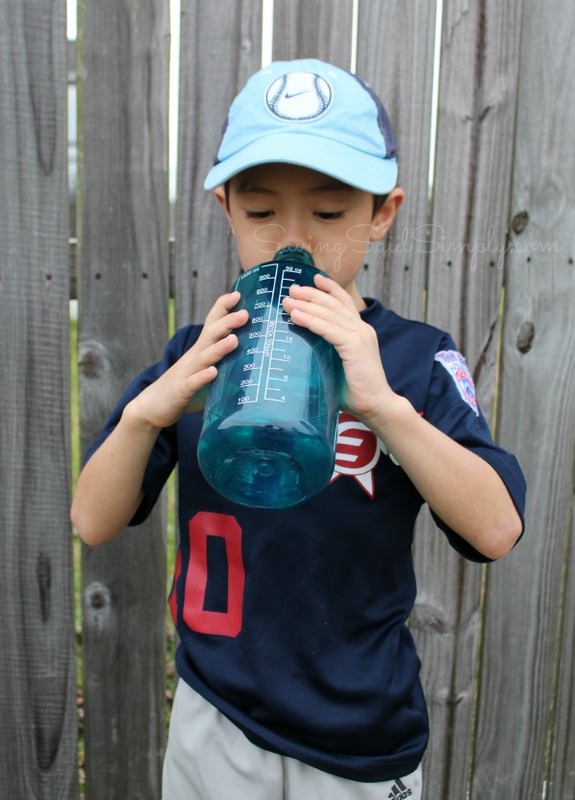 Having a sport sipper that they can use their teeth for is an extra plus! No clay on the rim! Up early. Long school day. And then right to practice. Our weekdays are very packed! It’s obvious that we need fuel when we are on-the-go! 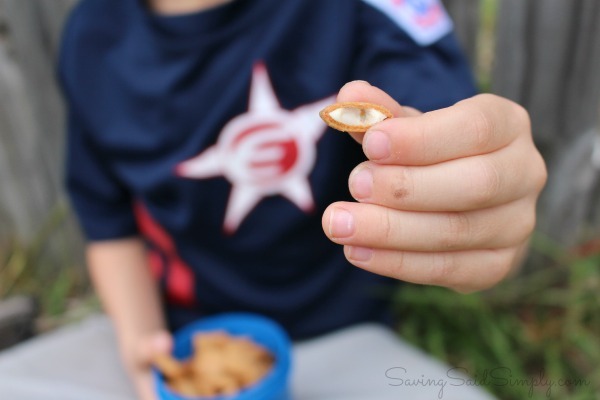 What is our Little League snack fave for this season? New Honey Maid Go Bites! Why do we love the delicious taste to fuel our game? Surprise Chocolate or Vanilla Flavored Fillings Inside – A Nice Surprise! The Wholesome Ingredients Parents LOVE! From the same Honey Maid folks that create your family favorite Teddy Grahams, Crackers and now Go Bites, these crispy baked bites are the perfect fuel for my son right before a big hit! He can easily snack on these bites in the car on the way to practice or celebrate the big win after the game! Either way, I love that he is getting the essential whole grains and protein when he needs it most! 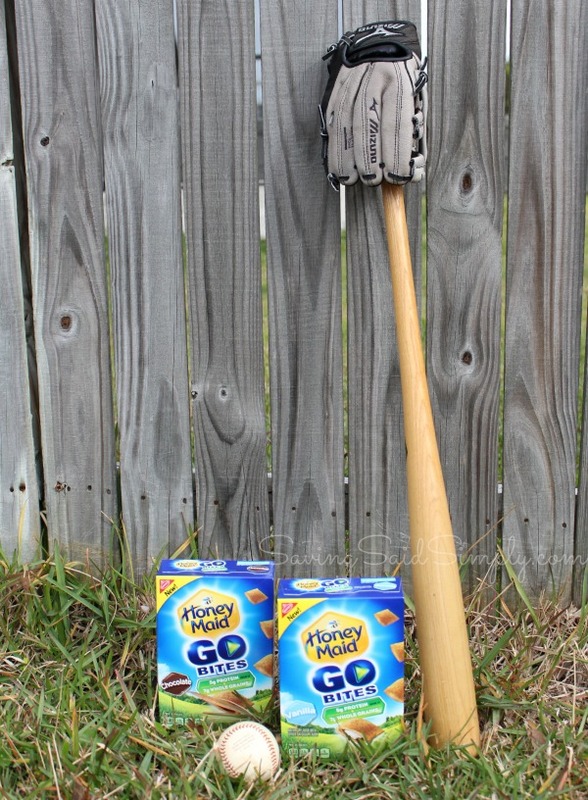 Honey Maid Go Bites are the perfect snack fuel for my little slugger! My son made the decision to play baseball this year, all on his own. It’s something that he loves, he talks about, and has a real desire to play. And you know why? Not to impress mommy or daddy. But to be with his friends and have FUN! FUN. I need to remind myself that he’s just a small 6 year old boy who’s goal is to not win or lose and game, but to have the BEST time while he’s there. I have fun on our essentials to remind me and to remind him that the key to a good game is fun. Need a cheat sheet for your Little League season? I’ve got one for you! Just click the picture above and save your checklist to your computer to print out again and again. We won’t be forgetting any of our baseball needs this year! 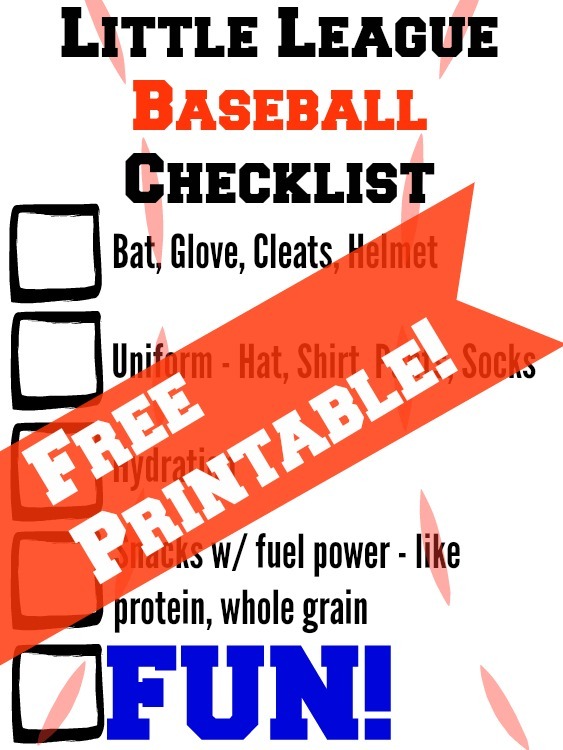 Grab your Little League Printable Checklist so you can be the super mom that stays on top of your baseball star’s needs! We are on-the-go this February! My son cannot wait to play in his “Big Boy” Baseball season! 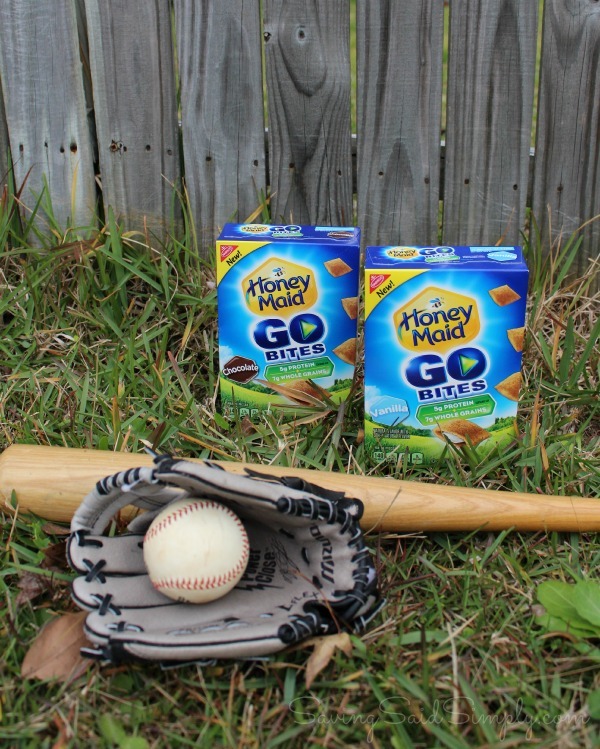 With all of our Little League Essentials including new Honey Maid Go Bites, I know there will be plenty of great plays, smiles and memories to save! How would Honey Maid Go Bites fuel your child’s day? I was selected for this opportunity as a member of Clever Girls and the content and opinions expressed here are all my own. Be sure to follow Saving Said Simply via Facebook, Twitter, Google, Instagram, Pinterest and YouTube for more reviews, giveaways and more. Yup, you pretty much covered it. Bringing lots of water is the most important thing! What a great checklist. I think you have everything that would be needed. My son never got into any sports except for bowling. 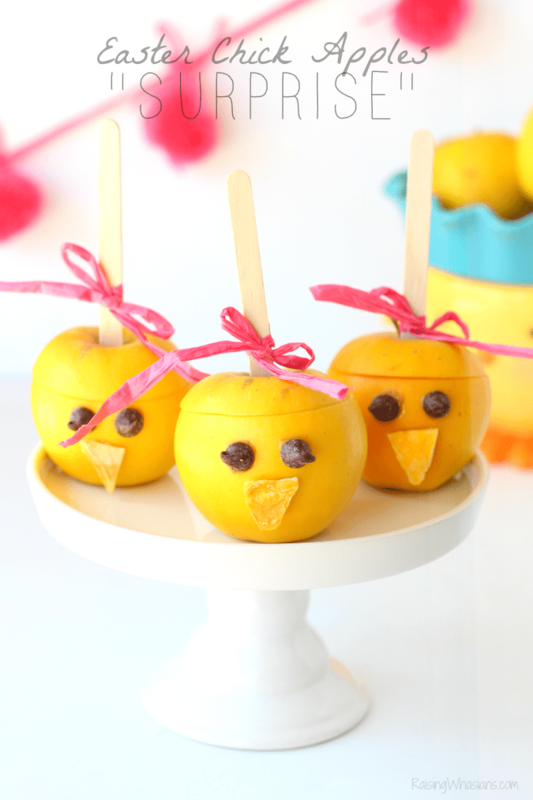 This looks like the perfect snack to fill my kid’s lunch boxes! I am always looking for new treats for them. I miss Little League! We took Honey Maid in often when it was our turn to bring in snacks. The kids loved them! Hydration and snacks are important for any game! Kids need their calories, and I don’t want them hangry after practice. Love the printable, I’m all about printables lately! I always make sure my kiddos have lots of water to drink and go refill if necessary. Can’t wait for soccer to start up! We’ll have to try these. My kids love Honey Maid. My youngest is starting tball this spring. He looks so cute in his baseball uniform! This reminds me of when my son was on the tee-ball team. This is adorable! My daughter played softball for a little bit when she was younger! How cute is that little slugger? Being a baseball mom, I know how much stuff there is to remember. A printable would be a great help. Oh gosh. I love your photos! Very cute! Great printable to help keep things organized. Now this is all sorts of awesome! My son is going to love the printable!! I love this, I was thinking about putting the boychild in little league, I think he would have a blast. The Honey Maid Bites would be great after school snacks. My son comes home hungry and looking for food. What a cute printable! I am hoping to get my son into Little League soon! These treats look good. And I’m with you on the washing the shirt right away! My boys love baseball! These are great essentials to have! I cannot wait until my oldest can start playing tee ball. Next year! We did soccer this past fall, and had most of these things you named. Isn’t he a cutie!!!! Great tips, I’m sending them to my sister-in-law, she could totally use these! What a cute guy!!! These are awesome tips and thanks for the added free printable! We just love those Honey Maid Bites. They are the perfect snack for on the go families like us! We have a similar checklist for lacrosse. Having a list can really help your get out of the door on time and with everything you need.